The Ultimate Saturday Night Live Movie! 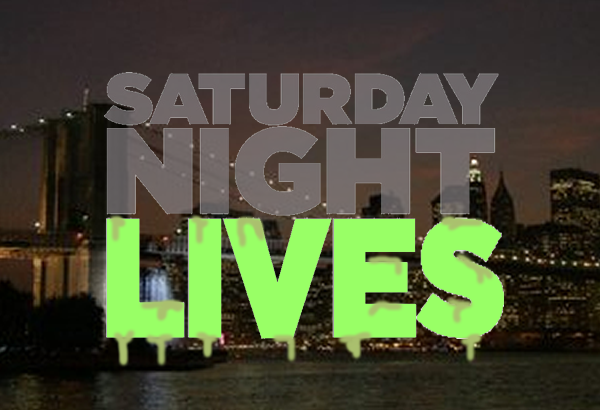 Opening Scene: It’s 1:01am on Sunday, just after an episode of SNL has finished taping. Everyone is congratulating each other and the guests on a great show. Seth Meyers stands off on the side, alone, ignored. 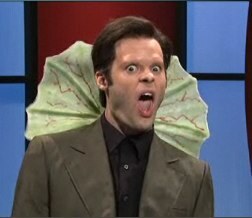 In this reality, Seth Meyers is the character he plays for Weekend Update – his real name (in the film) is Geth Pliers. Current cast members pass by Geth as he tries to make a joke (“We’re only live on Saturday Night for a half hour. We should change it to Some Saturday Night and Some Sunday Morning Live.”), but no one interacts with him. He retires to his office (which is stall in a restroom) and is happy to find that he’s finally received a response from a woman named Standra Dee Light (Cecily Strong) on a dating website. He takes to the hallways in excitement and runs into Bobby Moynihan and Kenan Thompson on their way to the after-party. They tell Geth that she’s probably a fake and that he’s getting catfished. Geth plans to meet Standra that night at an apartment party anyway. He finds help in the form of Weekend Update guests like Stefon (Bill Hader) and his Drunk Uncle (Bobby Moynihan). Stefon leads him through the underground club scene which features actual Internet Trolls and literal Catfish behind computers (and maybe Coneheads). In the end, Standra is indeed whom she claimed to be (The Girl You Wish You Hadn’t Started a Conversation with at a Party), and Geth finds true love, the respect of his coworkers, and true friends, all while saving the day. For the record, it doesn’t look fun or funny. But if someone was playing Winter Wonderland on a boombox… (daydreams… considers mixing the Youtube video)… no, still not funny. *The school’s team is the Ducks, in case you were pundering. I would have sworn that Amazon was not new to the TripleDoubleU, but apparently hiding in their warehouses, there isn’t a single pervert to be found. Scratch that. That’s exactly where they’re to be found. Because then I’d need to go buy a Kindle. But if I bought a Kindle now, after having this idea, I’d look like a perv. Maybe I’ll just FaceTime a stranger for their openis– er, opinion! I know this is everywhere so why not here!